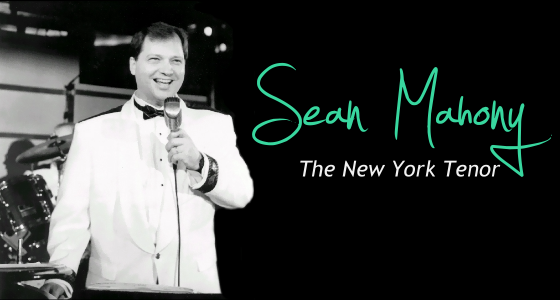 Sean Mahony "The New York Tenor" - Virtuoso Piano/Vocalist, Trombone Player, Composer, Bandleader and Broadway Performer. Recently, March 7, 2014, Sean joined WBAI Radio host James Irsay on his Friday morning show to premier James' new whimsical song entitled "New Jersey, New Jersey," a modern anthem honoring the folks in New Jersey who have been loyal and generous fans. Sean says, "It's fun to sing because it has good melodic structure whose harmonies recall the great romantic music era." Click here to see a video clip of Sean in "This Joint is Jumpin" (arrangment by Sean mahony). Click here to see a Sean Mahony's YouTube Channel. Sean has been playing in auditoriums, concert halls, band shells, dance halls, Broadway pits, and Broadway stages since the age of five. He has played trombone with the New York Philharmonic and conducted the Rainbow Room Orchestra. 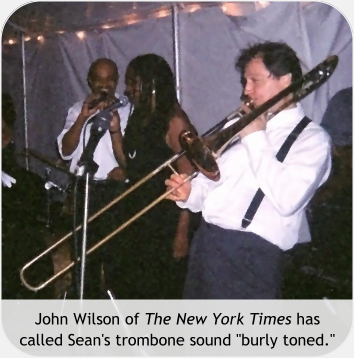 Sean's performances range from opera and Broadway to swing, contemporary and traditional. He has performed as Don Ottavio and Ferrando in two Mozart operas with New York Opera productions. 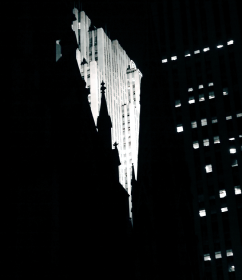 At Rockefeller Center's famed Rainbow Room, he appeared regularly as the bandleader, singing, playing and conducting for many years. He has played at the U.S. Open, Caché, Jack Rose, the Red Blazer Too, the Red Parrot, the Supper Club, and the Hideaway. Sean demonstrates a broad range of vocal styles: from Irish ballads to the crooning and rhythmically swinging songs of the swing era, a la Frank Sinatra, Tony Bennett, and Nat King Cole; from Tony Pastor-like comic vocals to legit-voice renditions of the songs of such great Broadway composers as Irving Berlin, Cole Porter, Frank Loesser and Andrew Lloyd Webber; and he flawlessly delivers classical songs, from Andrea Bocelli's "Con Te Partiro," to Mozart arias. In 1986 he was a cast member (a Klezmer musician) in the Broadway musical "Rags," which starred opera diva, Teresa Stratas. He has been the featured tenor soloist at several Irish venues, including the annual Irish-American Labor Coalition dinner, for the past ten years. Private audiences have also enjoyed Sean's style. He appears at many private and corporate events as featured soloist, bandleader, piano/vocalist, composer, trombone player and children's entertainer. Contact Sean to inquire about booking him for your event.